A study testing Truvada, a daily pill that's supposed to prevent AIDS infections in women, was called off yesterday after early results found the medication is ineffective. 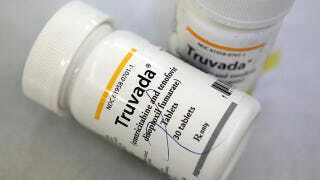 In the fall the pills were found to reduce HIV infections among gay and bisexual men by 44%. Researchers haven't figured out what went wrong, but more women taking Truvada complained of unpleasant side effects, and it's possible many stopped taking the drug.